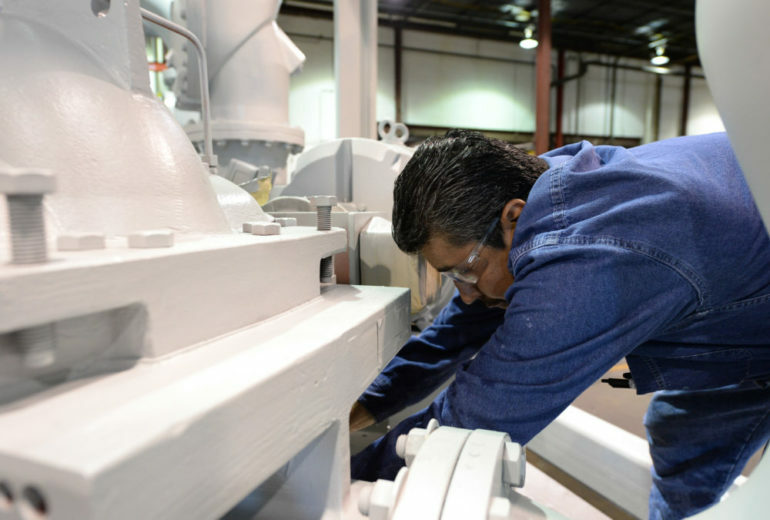 On occasion, some TIGERFLOW customers have experienced speed control issues, which cause over-shooting of their setpoint pressure and can even cause the pumps to short-cycle. 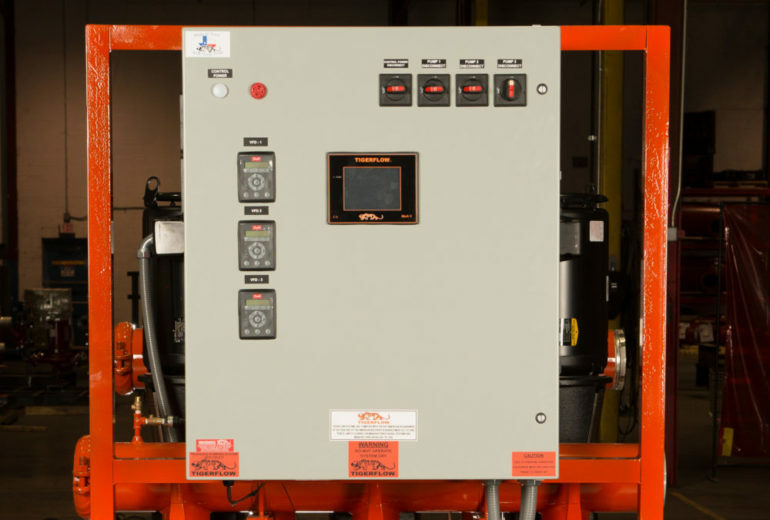 In today’s blog, our TIGERFLOW control engineers are giving advice on fine-tuning your speed control so you can avoid overshooting and short-cycling your system. What is Overshooting and Short-Cycling? As you might infer from the name, overshooting is when your system goes beyond its setpoint pressure and is at risk of triggering the High System Pressure Alarm or short-cycling. Short-cycling is when your system turns on and off more often than desired, which increases power consumption while shortening the life of your pump and motor. However, the issue of short-cycling can often be fixed by adding or adjusting a bladder expansion tank of the discharge header. This will allow the system to provide water at sufficient pressure without the pump needing to run. Aside from the bladder expansion tank, the TIGERFLOW Mark V Controller has an array of easily field-adjustable speed control settings so you can fine tune your system to avoid over-pressurization and short-cycling. Let’s start by looking at the Pump Start/Stop settings. The Lead Stop pressure should be the setpoint pressure you want the system to maintain. (Ensure this doesn’t exceed the capacity of the pumps and is at or near the designed condition point of the system.) Next, look at the Lead Pump Off Delay, and make sure it’s set to at least 5 seconds – it should be set for longer for larger loads. Next, let’s look at the Speed Control screen. With your setpoint in mind, your most important settings are the Lead Pump Starting Speed and the Minimum Pump Speed. If the pump is overshooting the setpoint immediately after starting, then your Lead Pump Starting Speed is too high. Set the Lead Pump Starting Speed to 25% so the pump can start slowly. Even more important is the Minimum Pump Speed, which is the slowest the pump will be allowed to run before shutting off. This setting helps to reduce pump cycling and to prevent the motor and pump from overheating during no flow conditions. If the Minimum Pump Speed is too high, then the system won’t be able to slow down and can cause overshooting and short-cycling. If it is too low, the pump will be less likely to turn off, as it will be maintaining a greater speed to hold set point pressure. The lead pump must have slowed down to the Minimum Pump Speed setting while maintaining set point for the Lead Pump Off Delay time period in order for it to shut off. Lastly, let’s determine what your Minimum Pump Speed should be. Start by setting your Minimum Pump Speed to 10%, and then during a time when the system demand is as low or nearly as low as it’s ever expected to be, check the Main Screen for the % SPEED that’s displayed when the pump stabilizes at setpoint pressure. With that new speed percentage, go back to Speed Control, and set as new Minimum Pump Speed. If the pressure continues to overshoot the setpoint at pump start, try increasing Response Time. 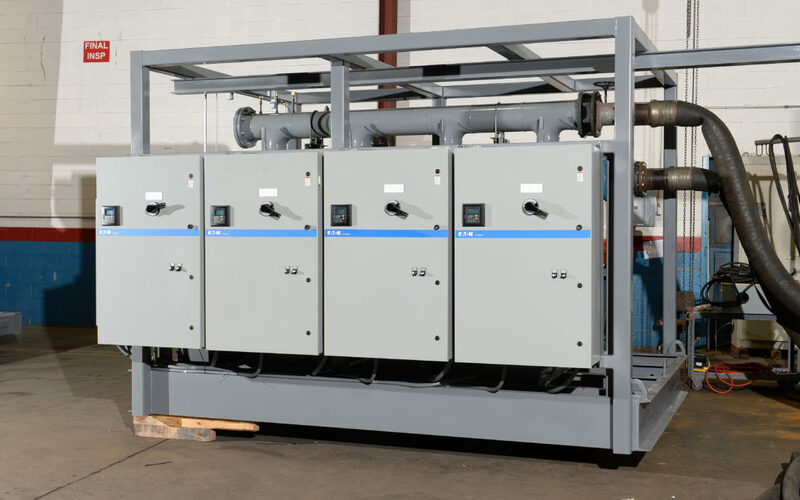 When it comes to making sure that your system speed control is optimized for energy efficiency, ease-of-use and system response, other companies may fall flat, but not TIGERFLOW. Every aspect of our speed control algorithm is designed to be easily and intuitively field-adjustable, so you can make adjustments yourself! Don’t worry if you’re having a difficult time getting all your controls set just right. At any time, you can call TIGERFLOW and speak with one of our control engineers directly to be talked through step-by-step to fine-tune your speed control. You can contact TIGERFLOW technical support by phone at (214) 337-8780 or by email at support@tigerflow.com.